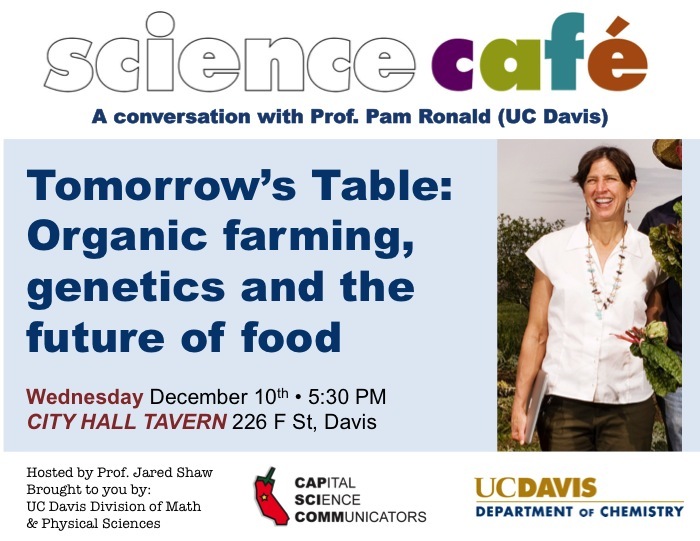 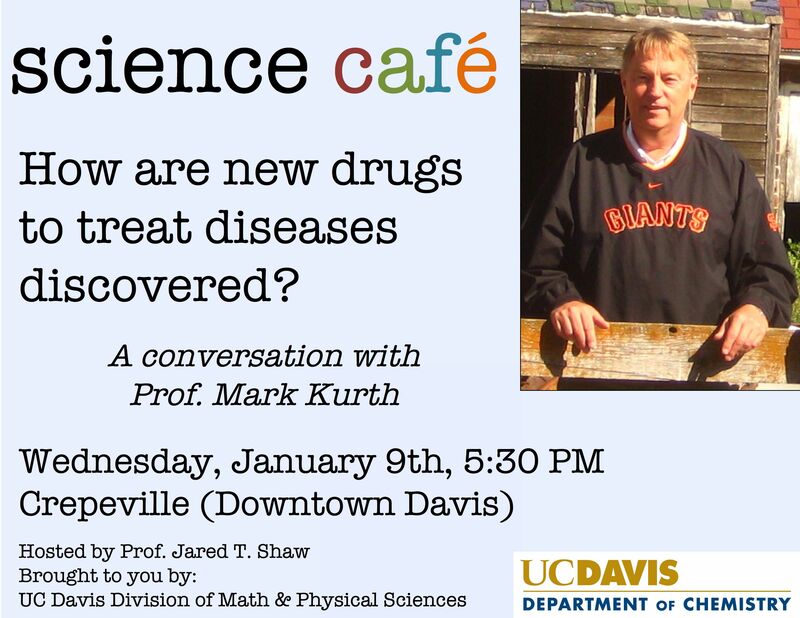 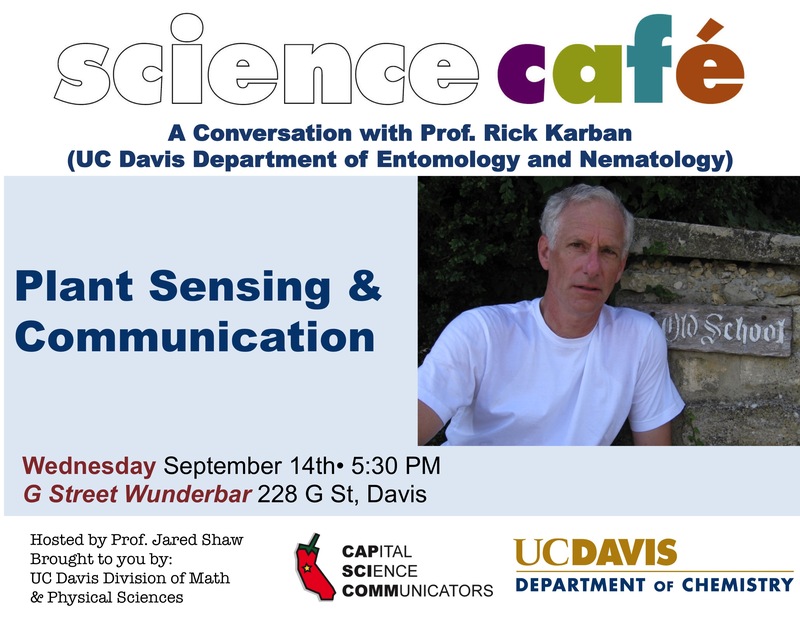 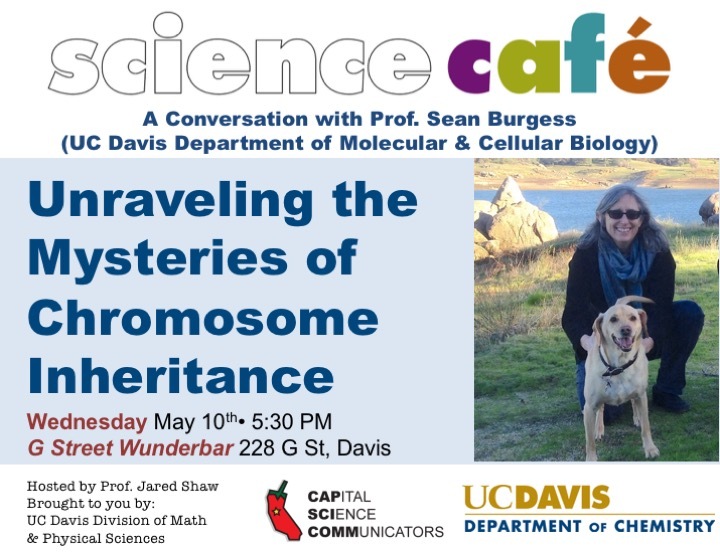 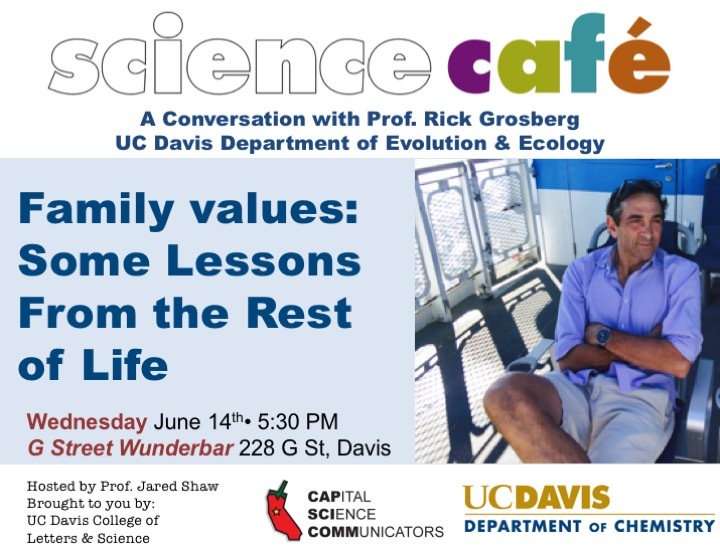 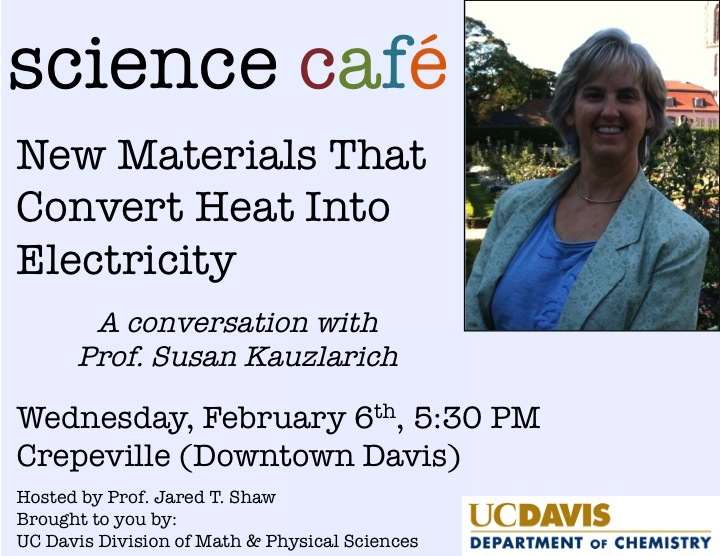 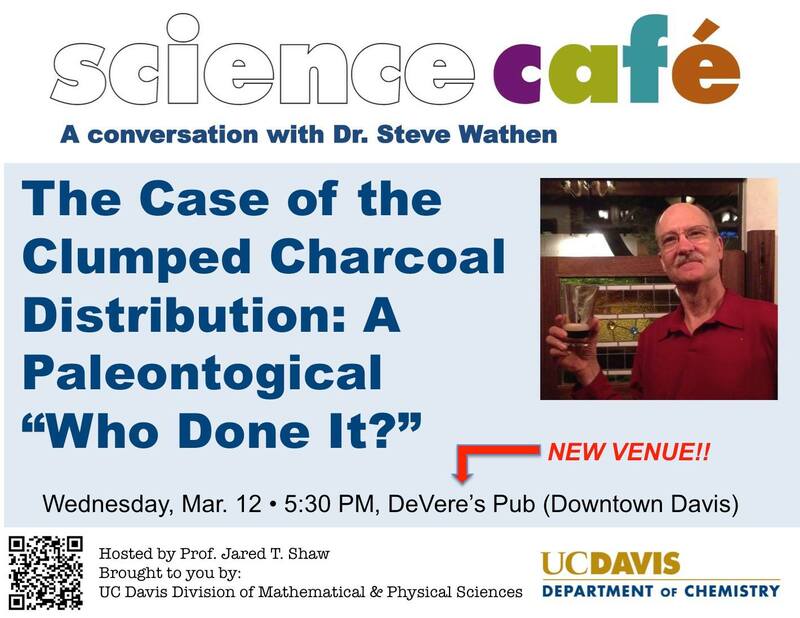 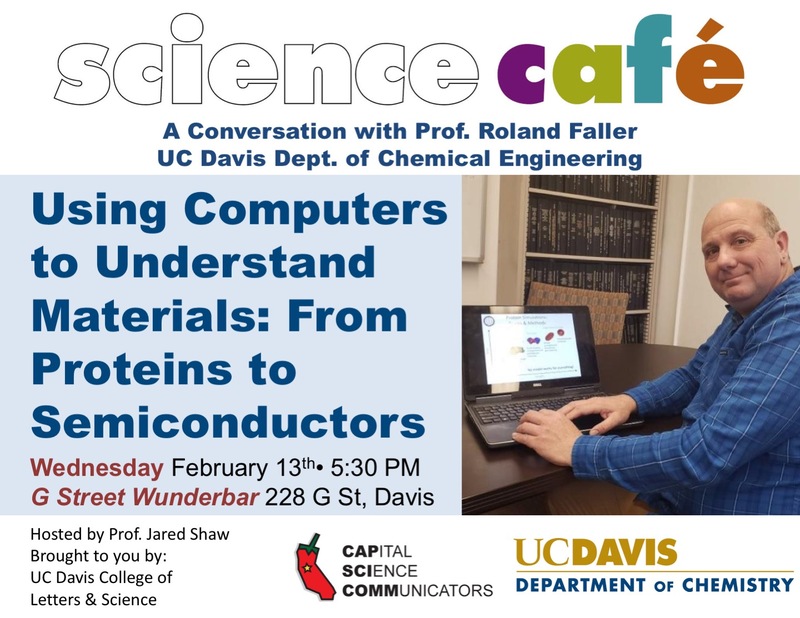 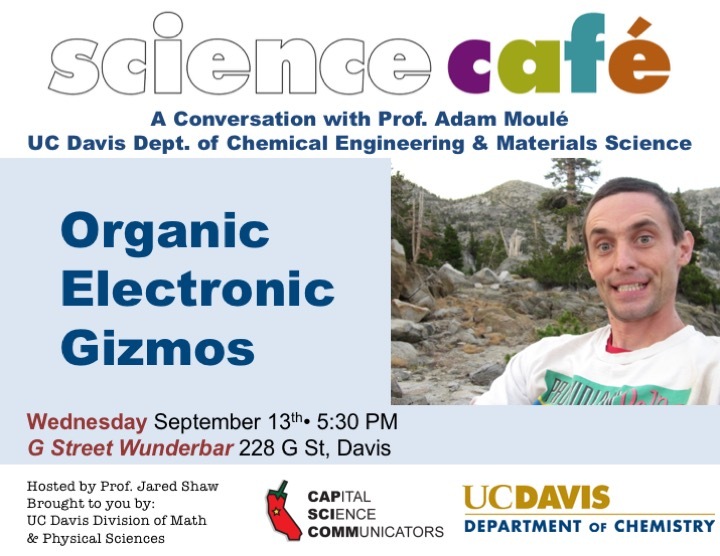 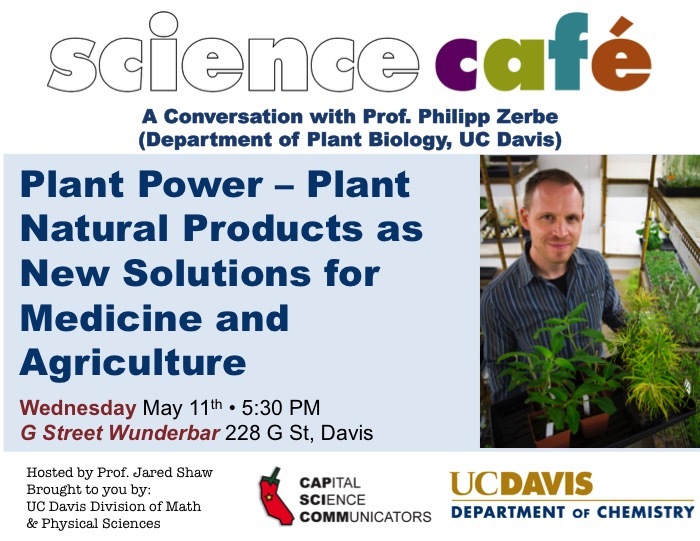 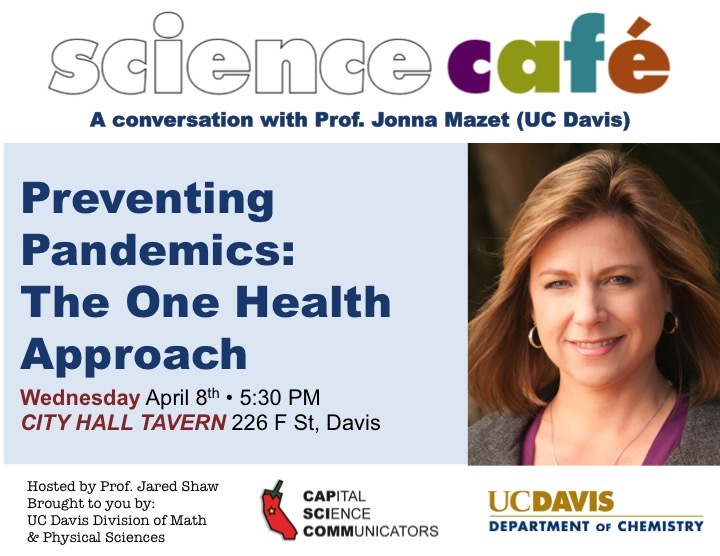 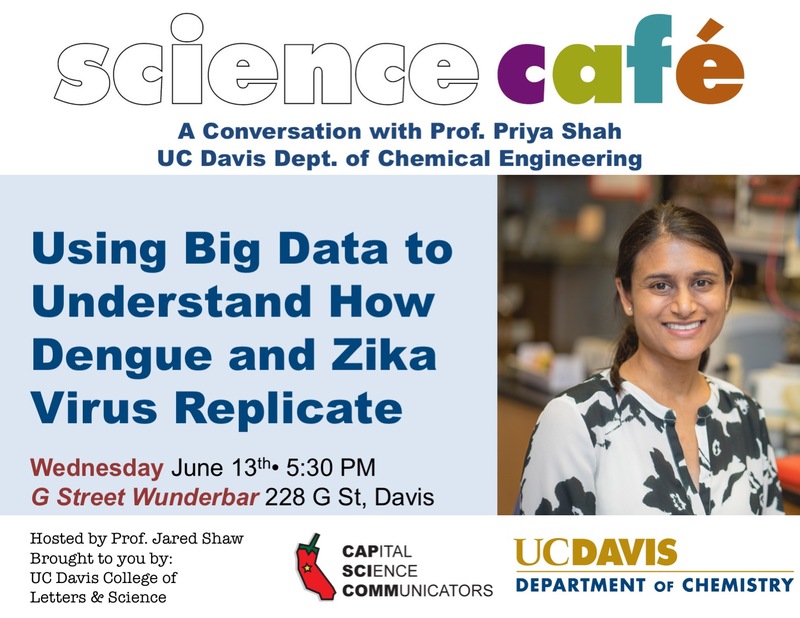 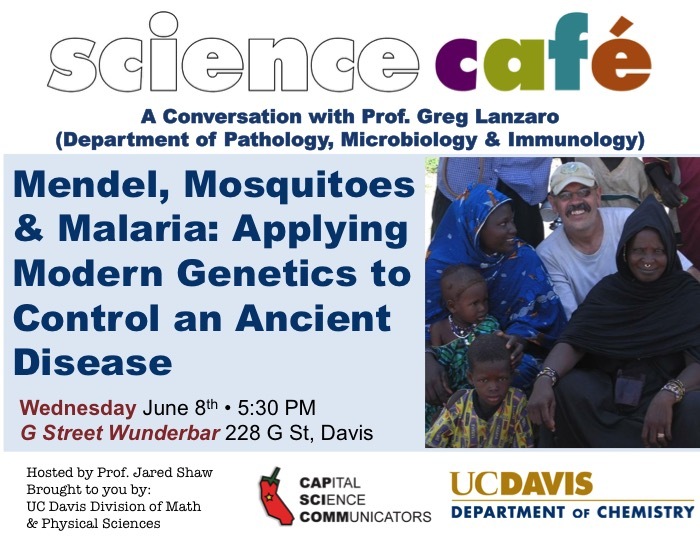 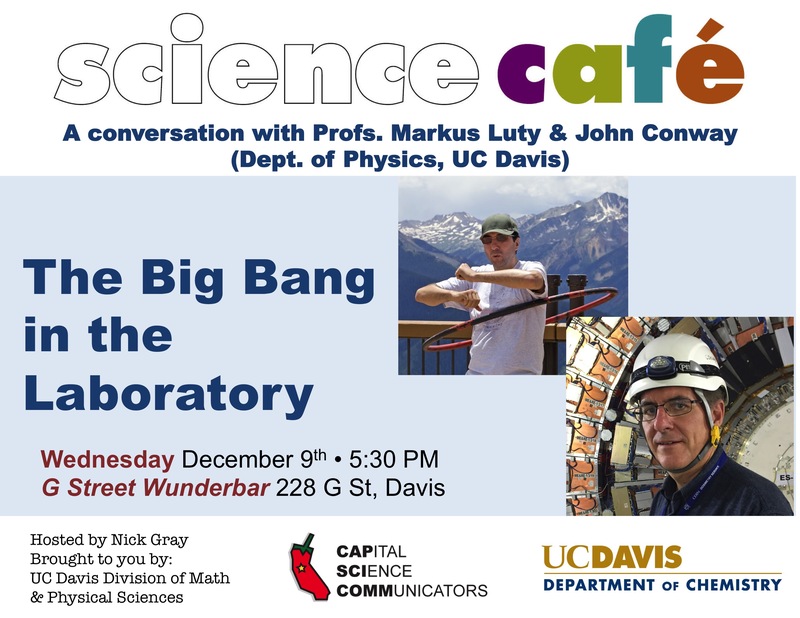 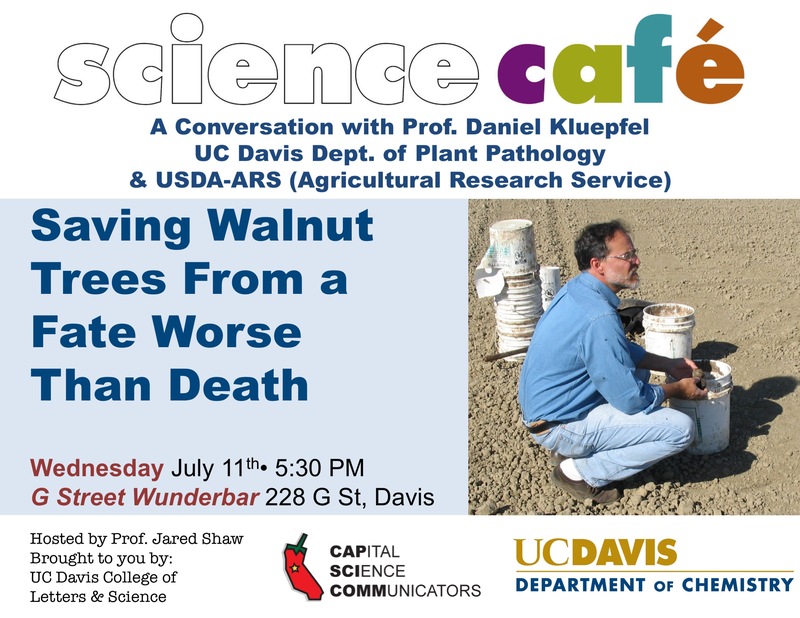 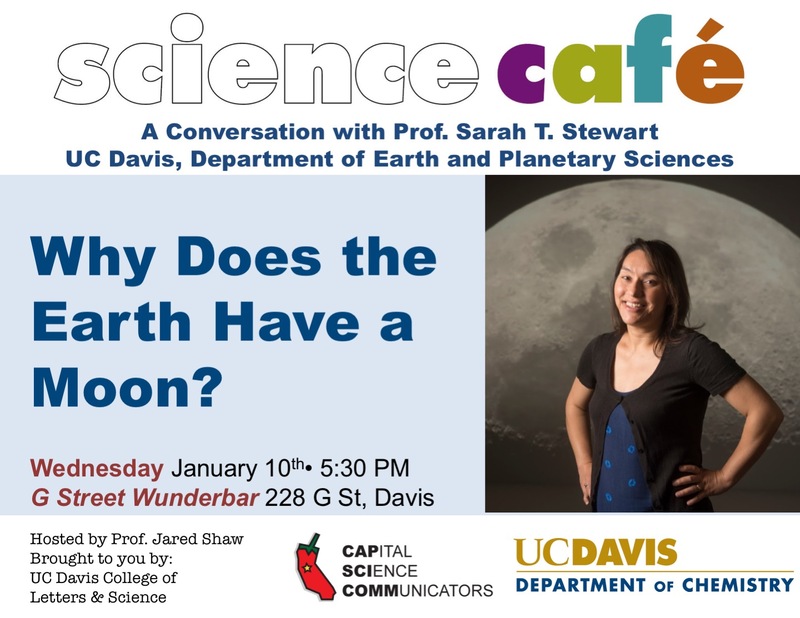 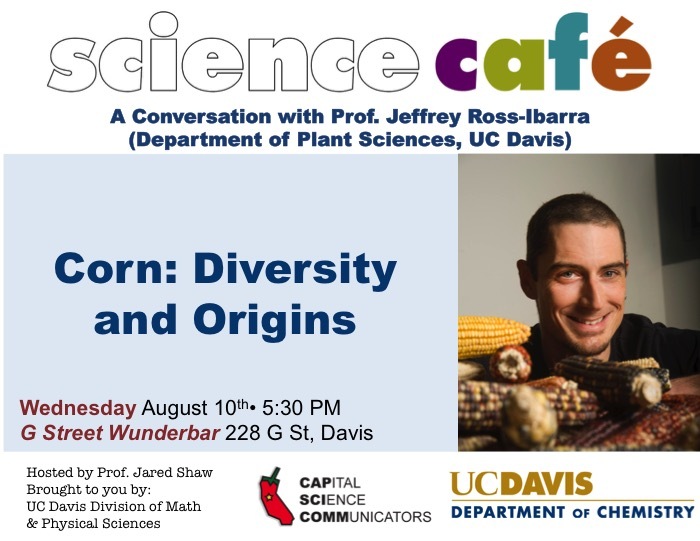 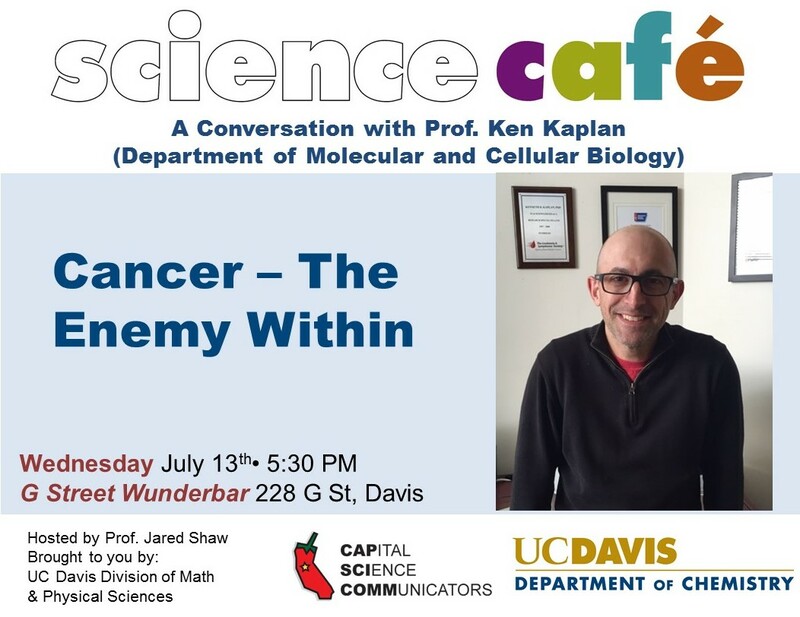 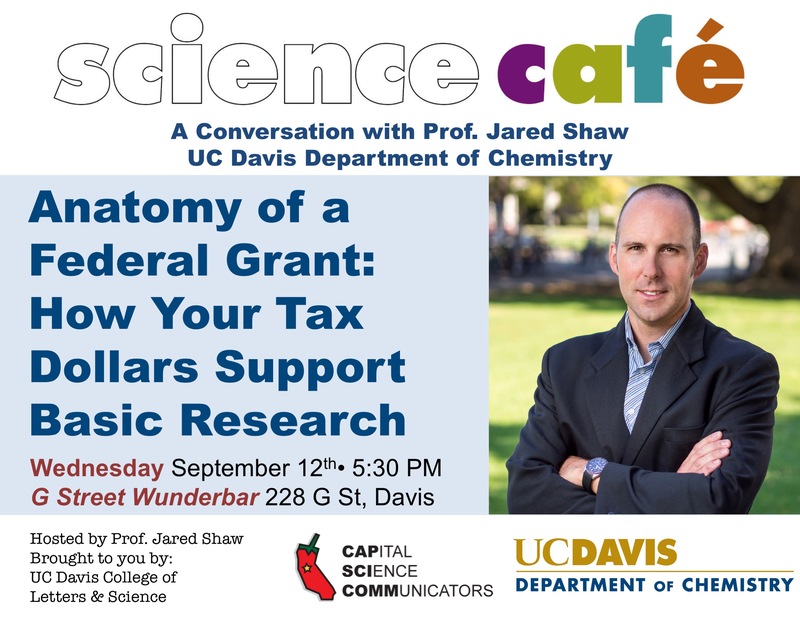 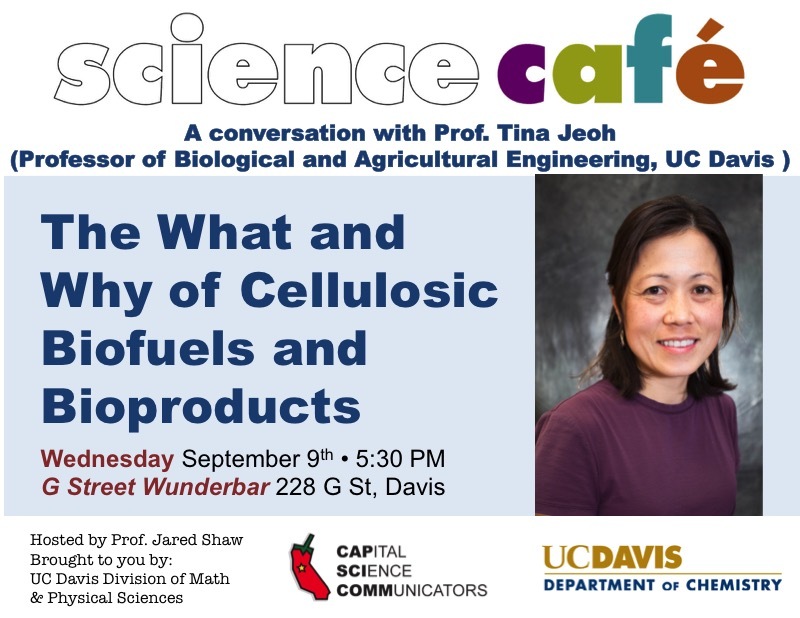 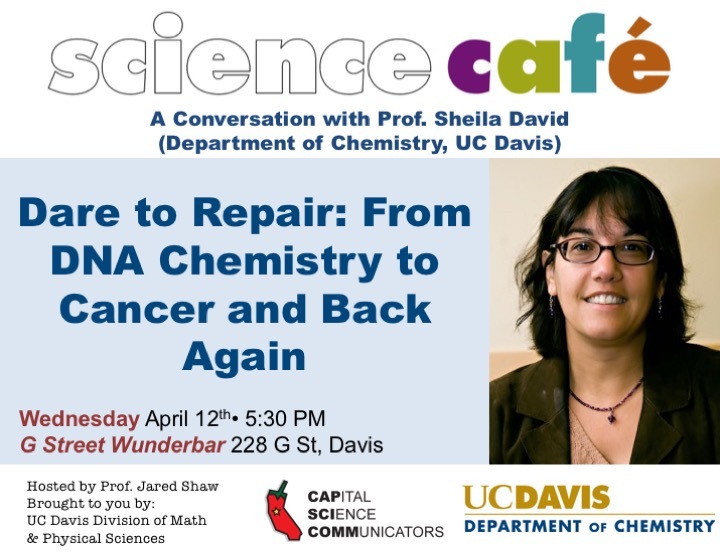 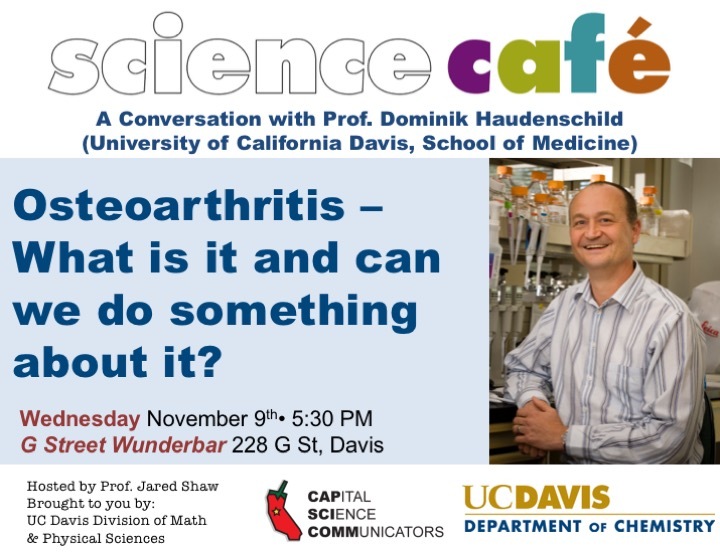 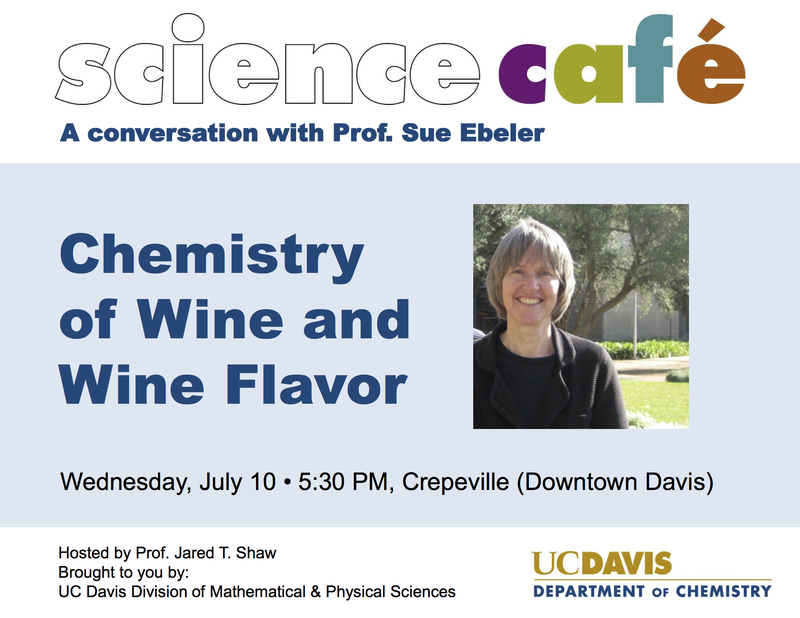 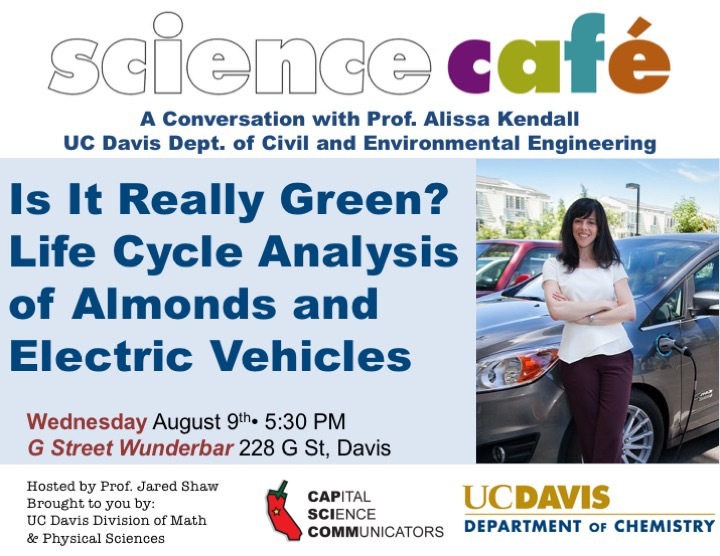 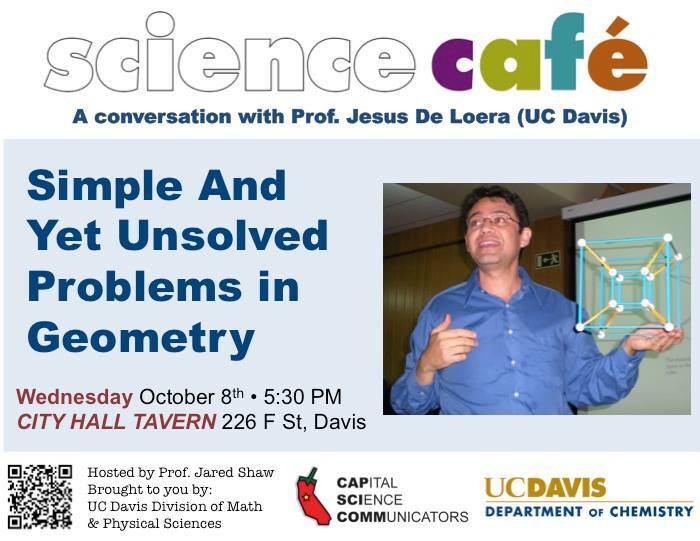 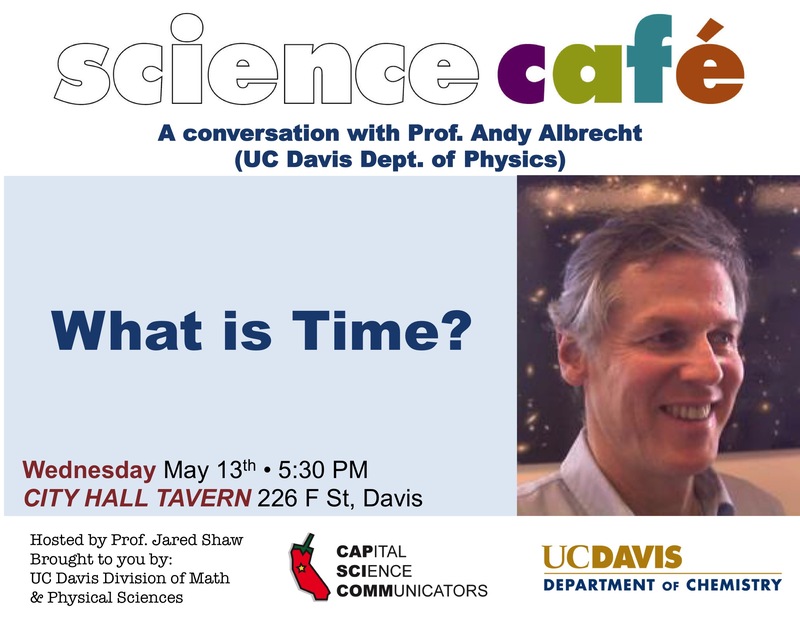 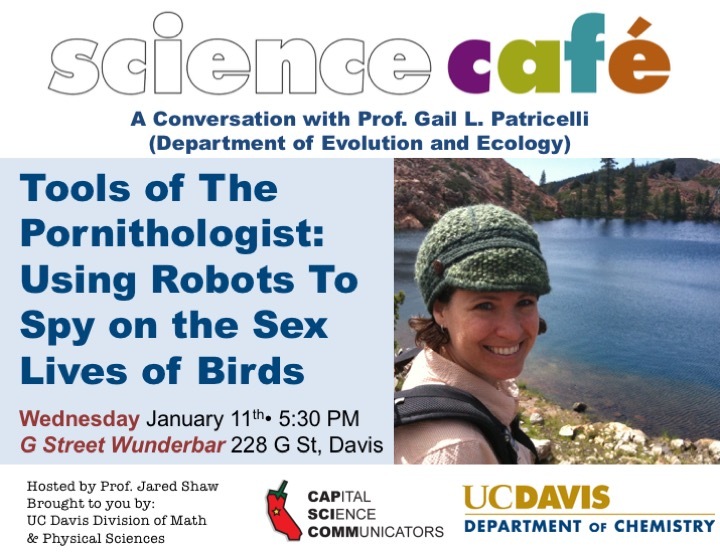 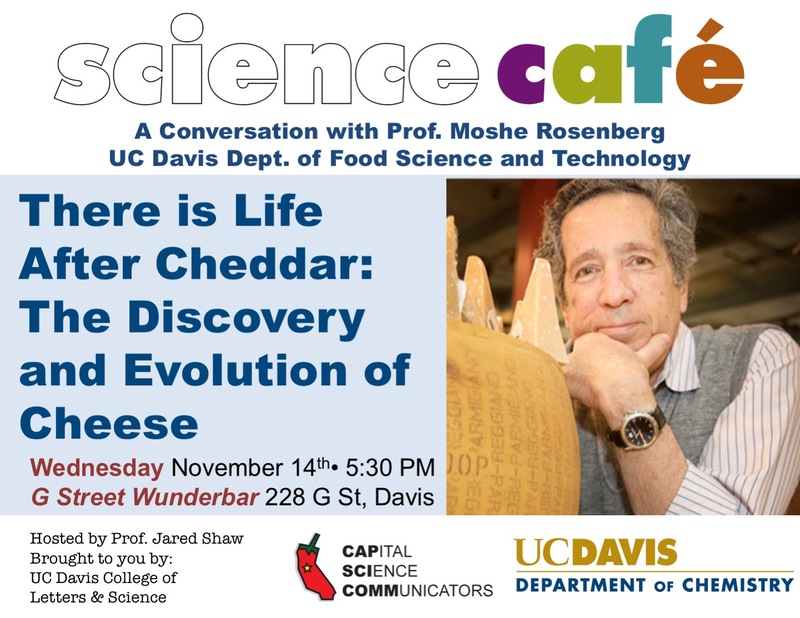 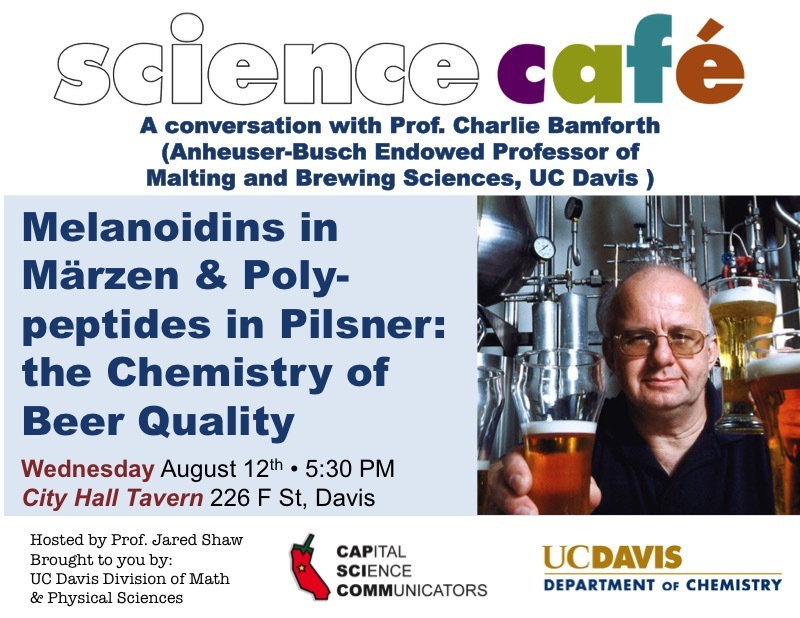 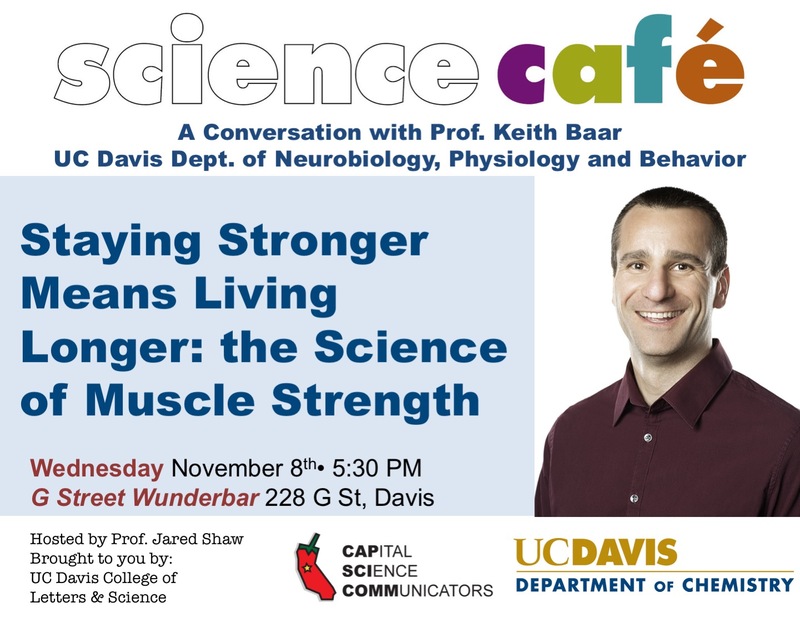 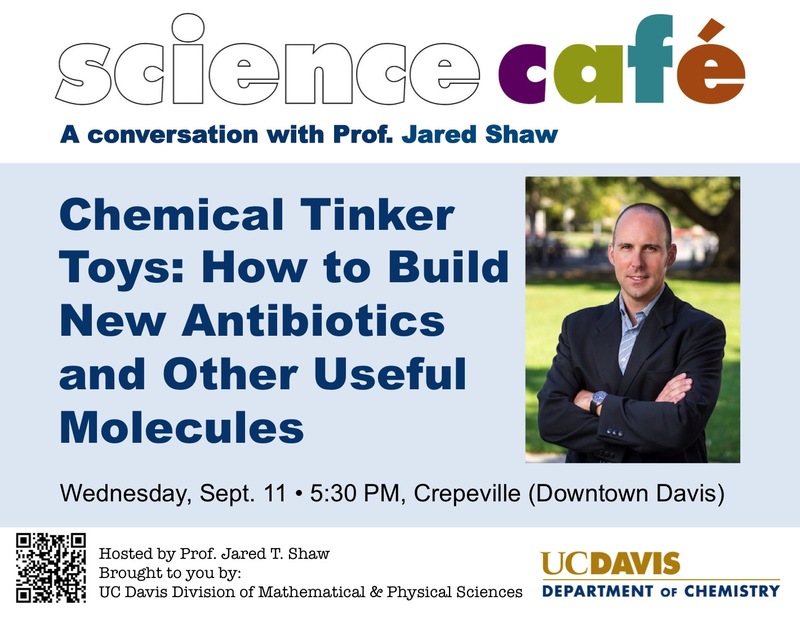 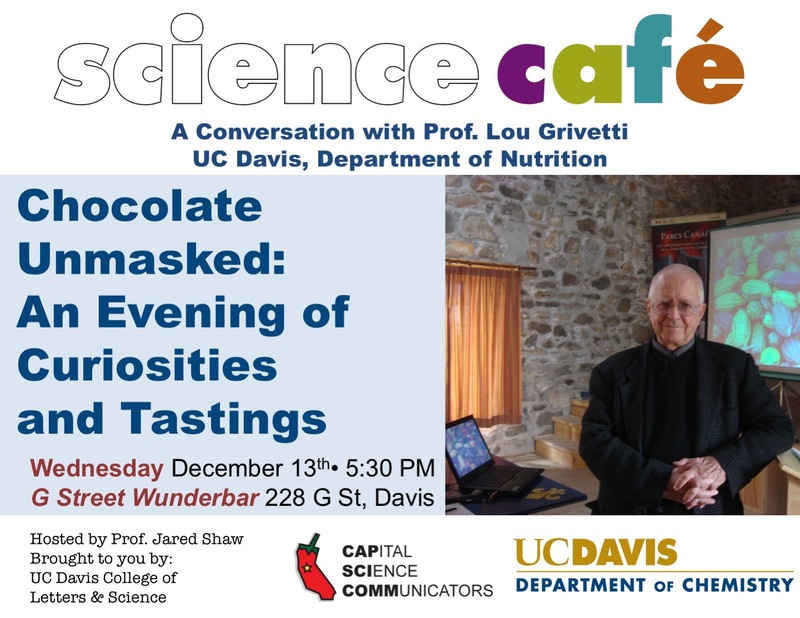 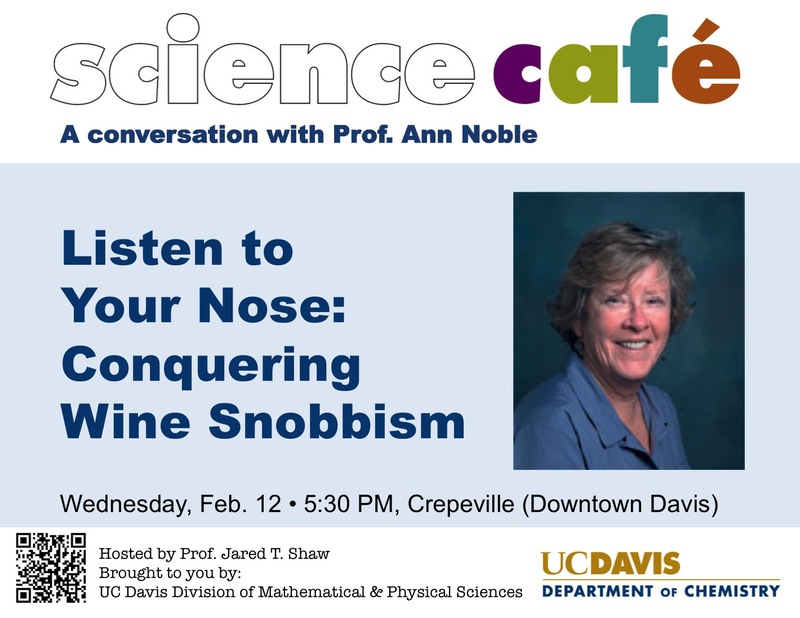 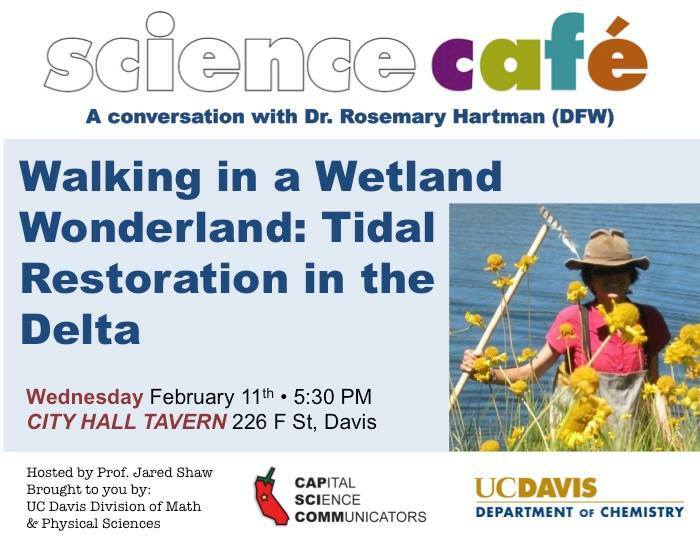 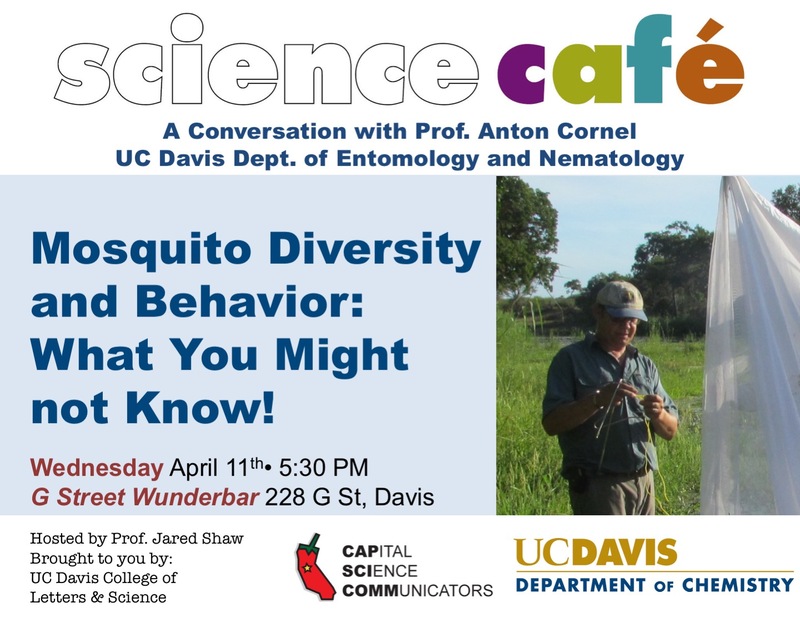 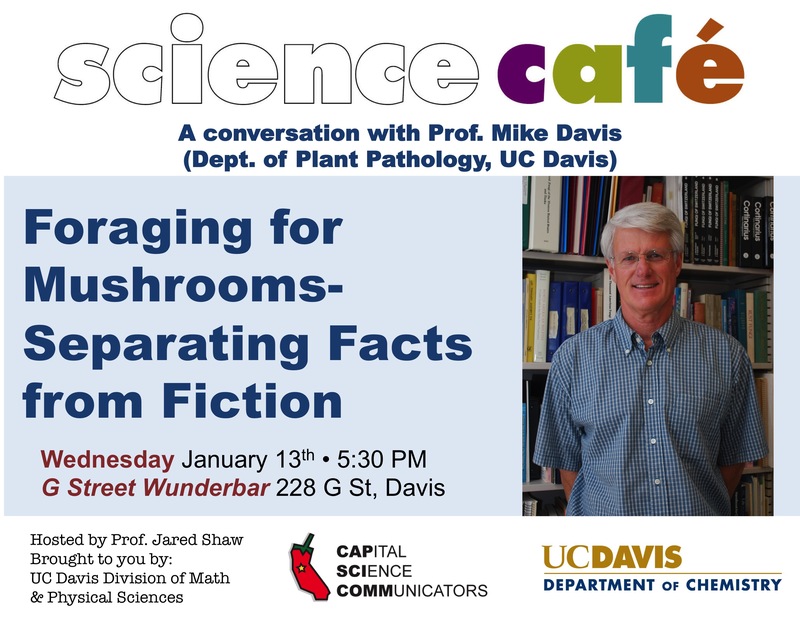 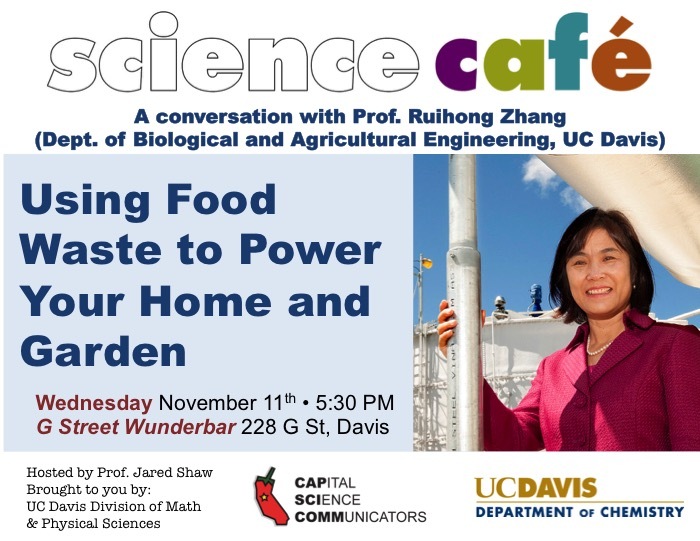 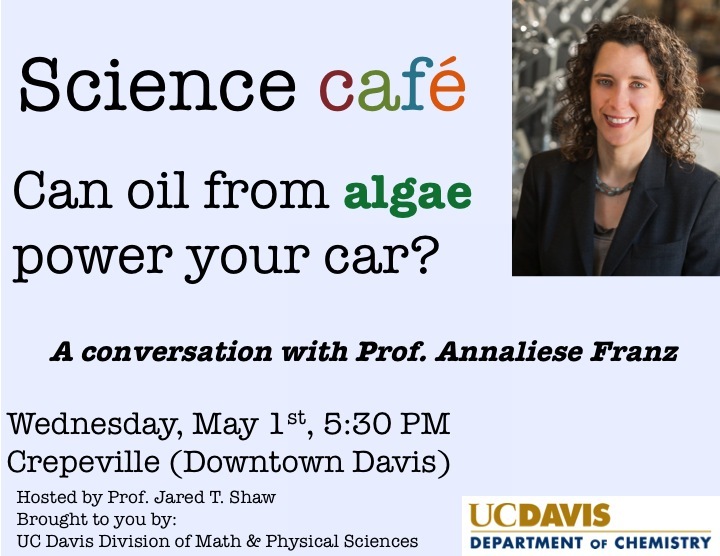 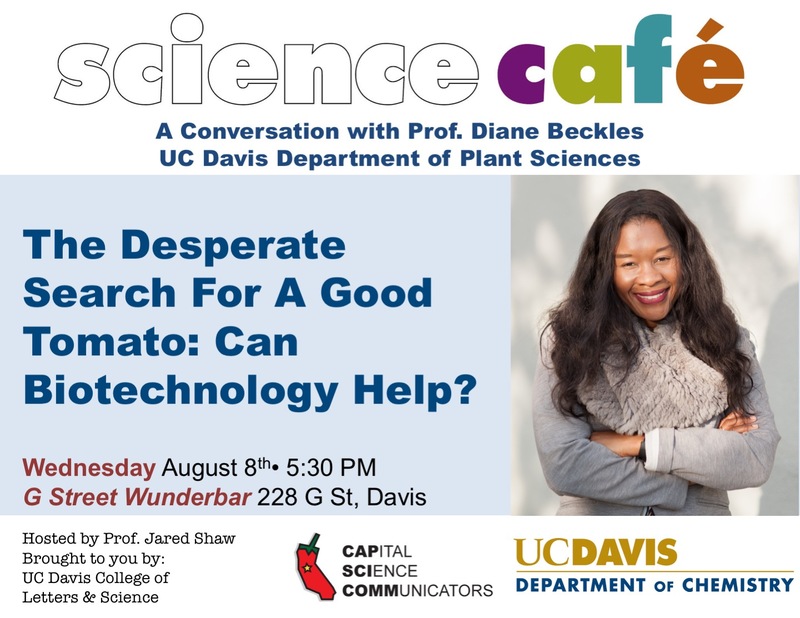 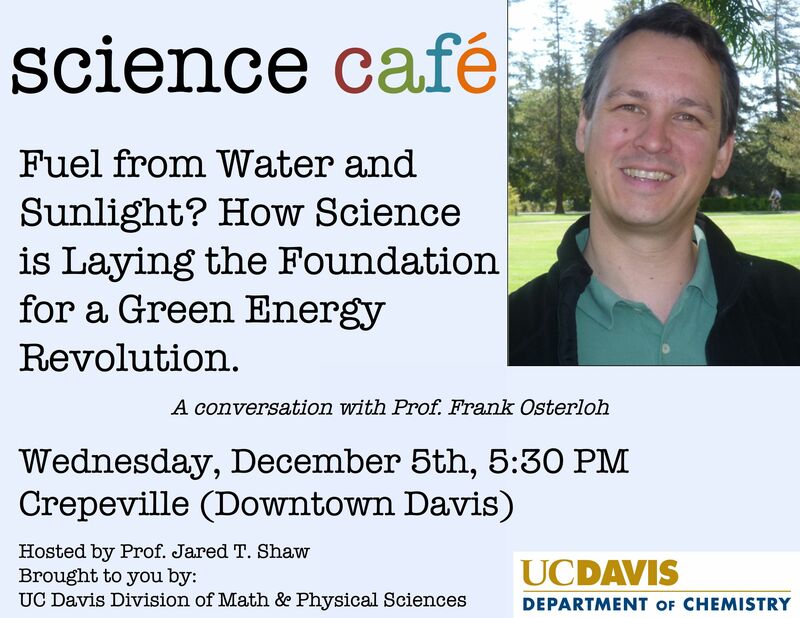 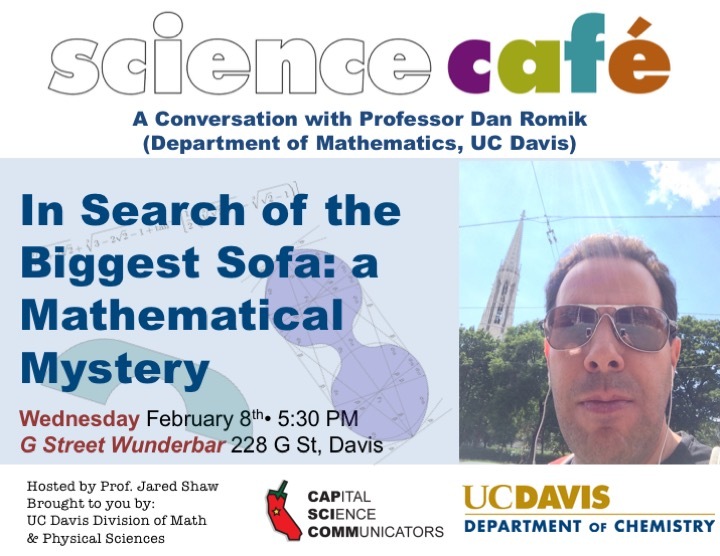 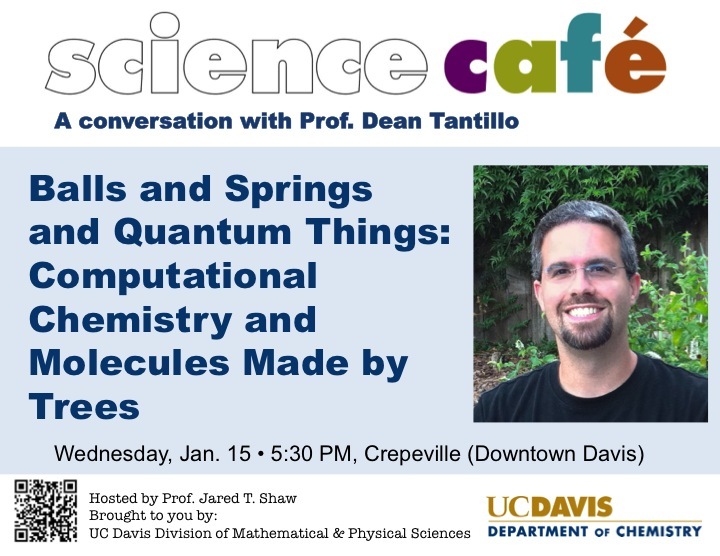 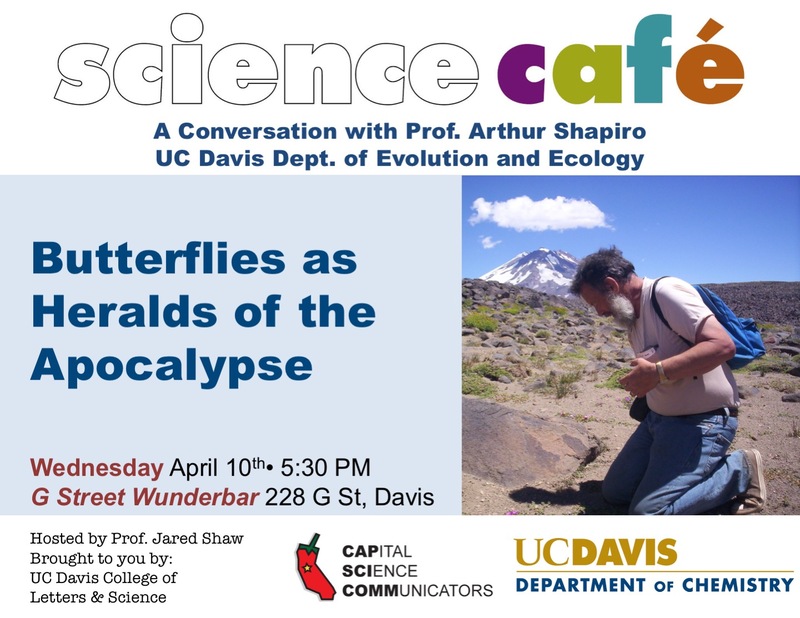 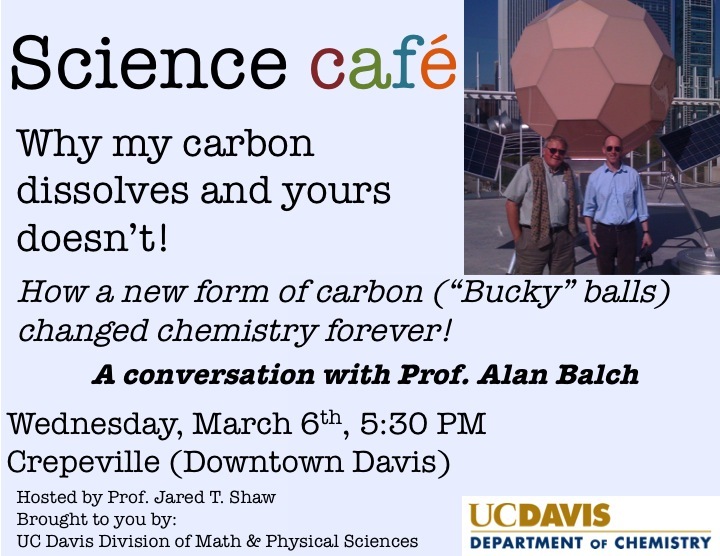 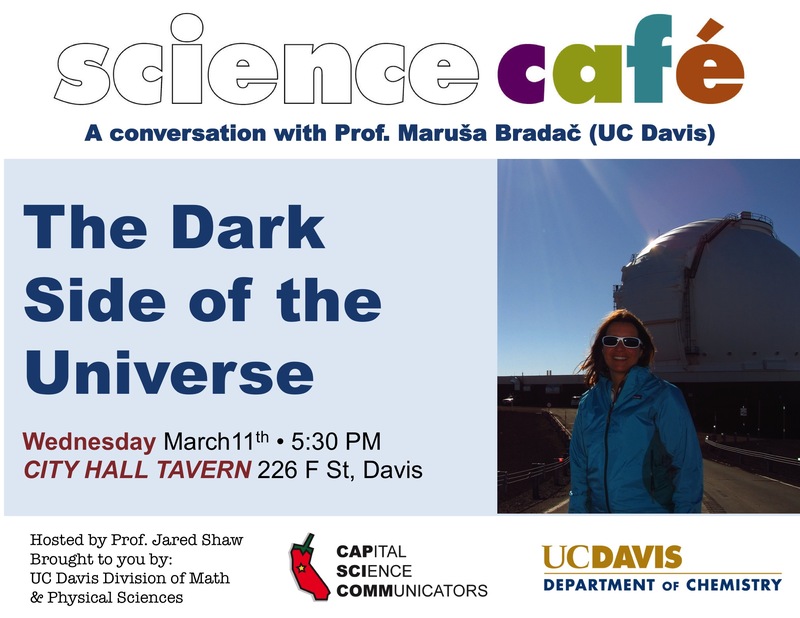 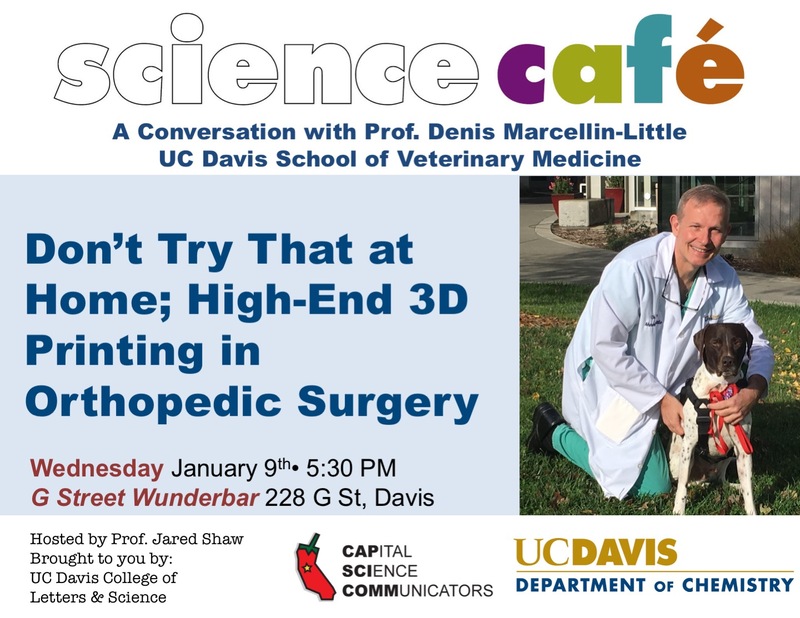 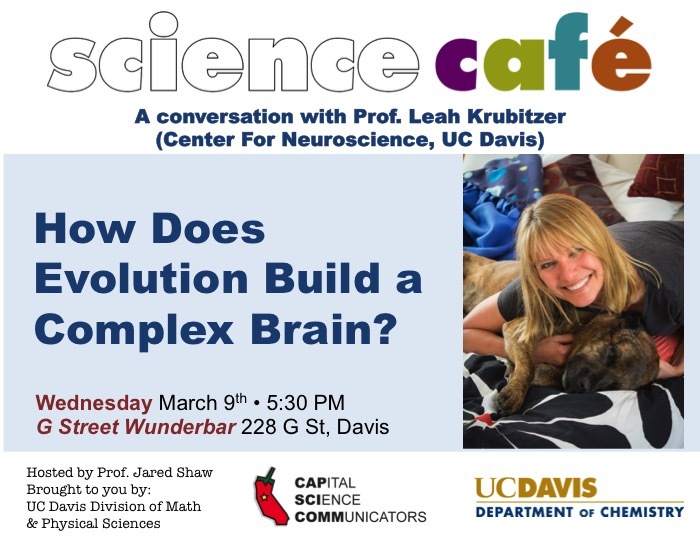 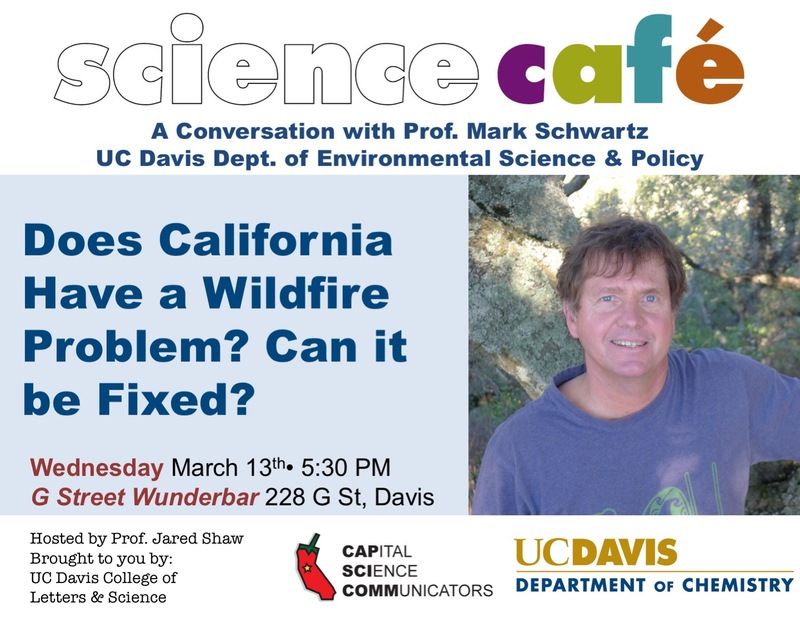 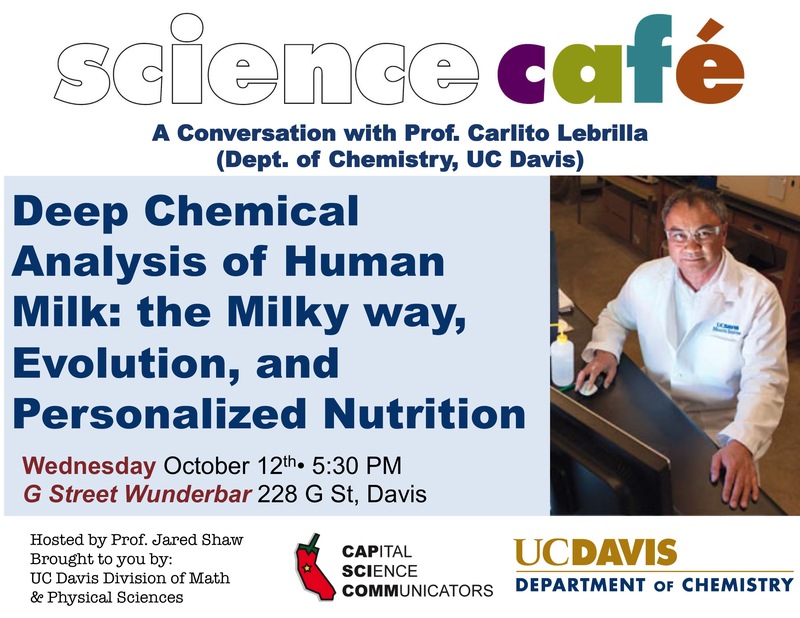 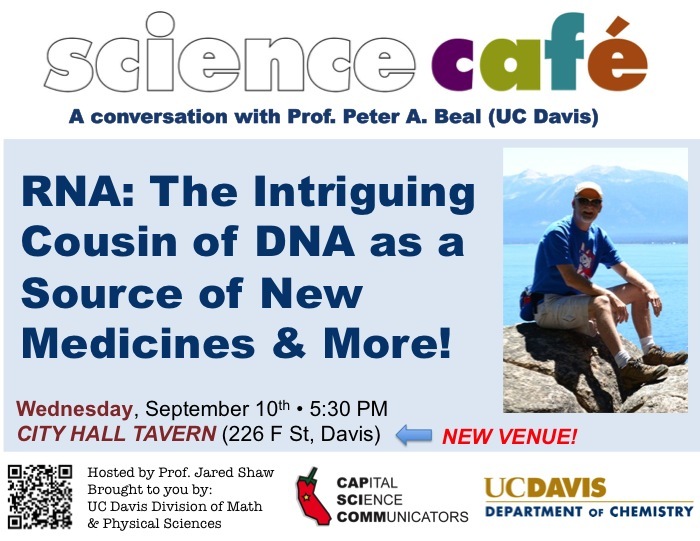 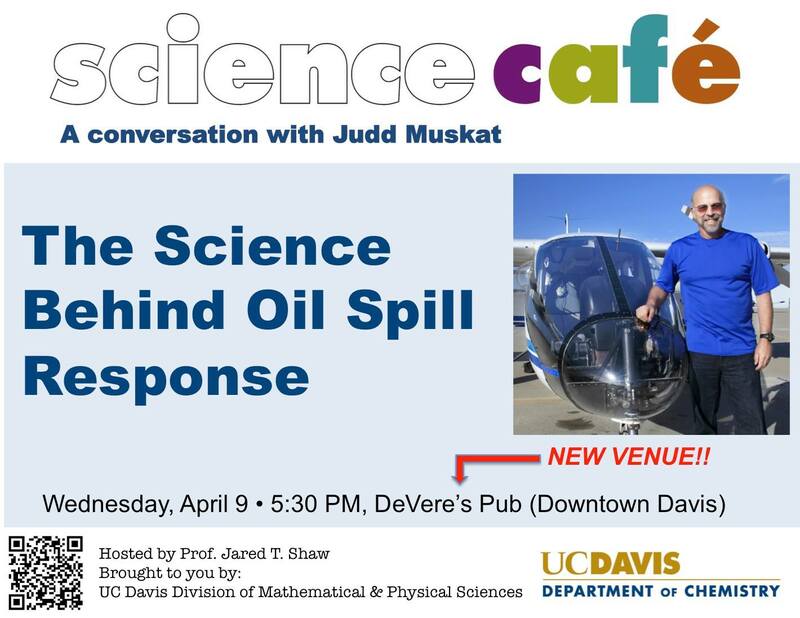 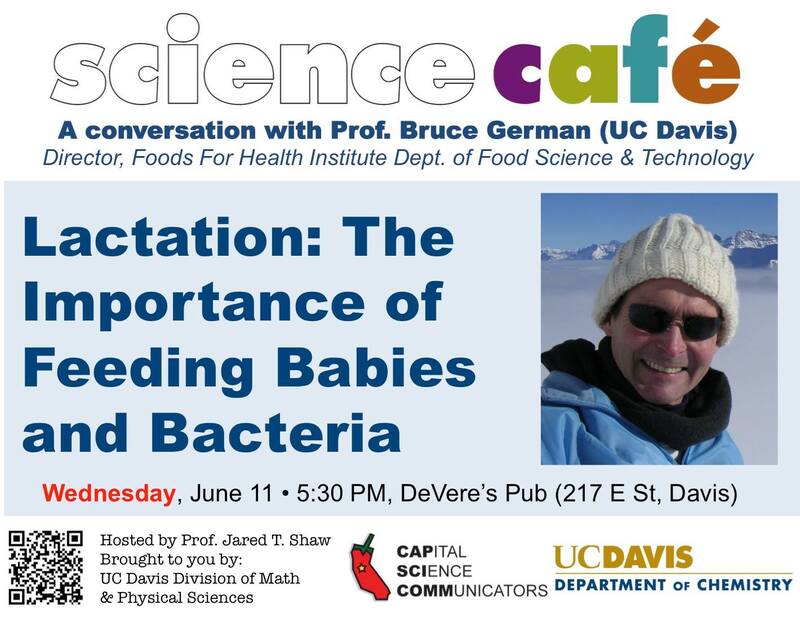 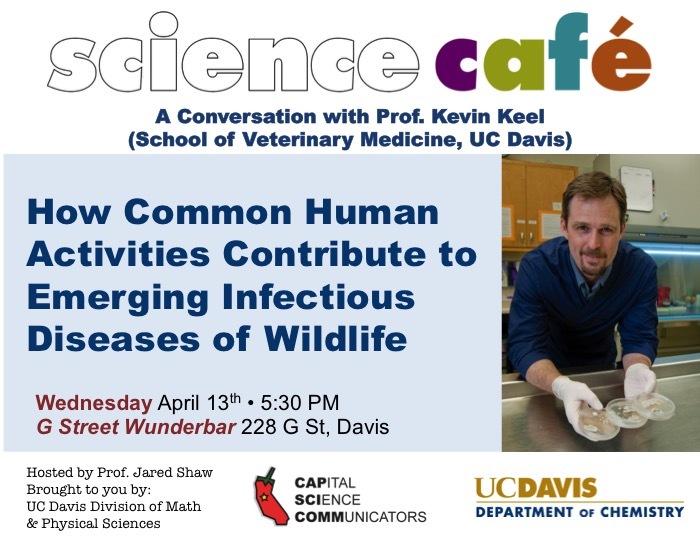 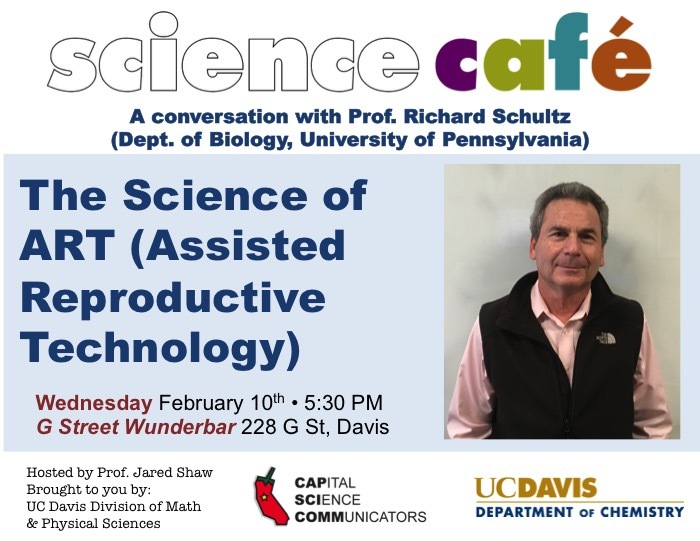 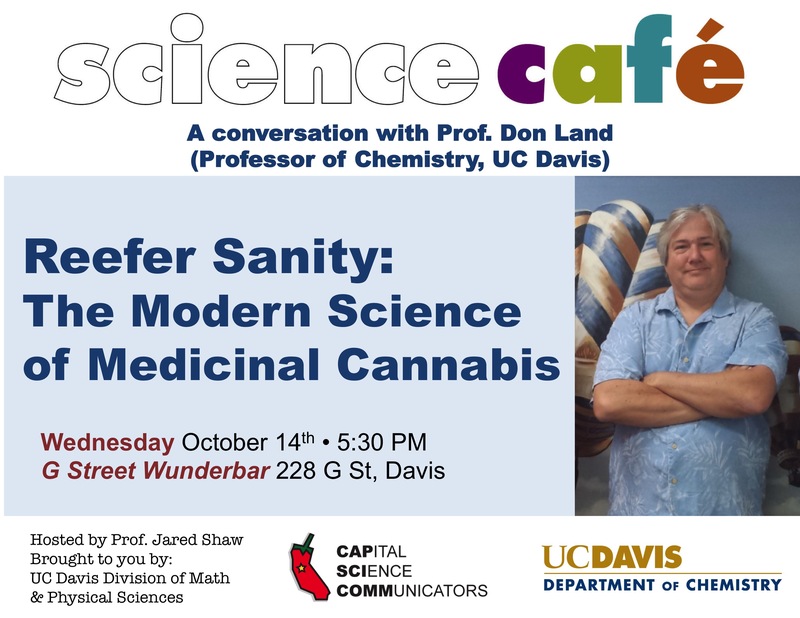 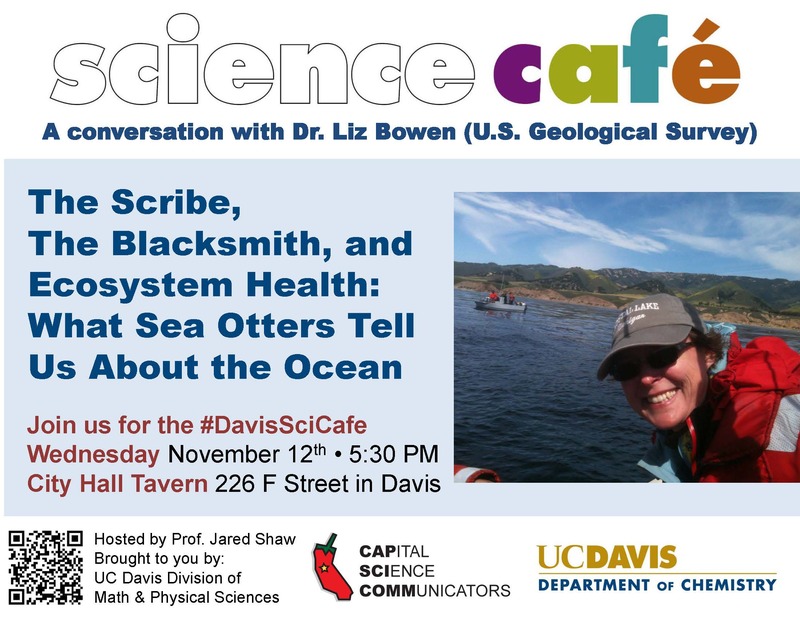 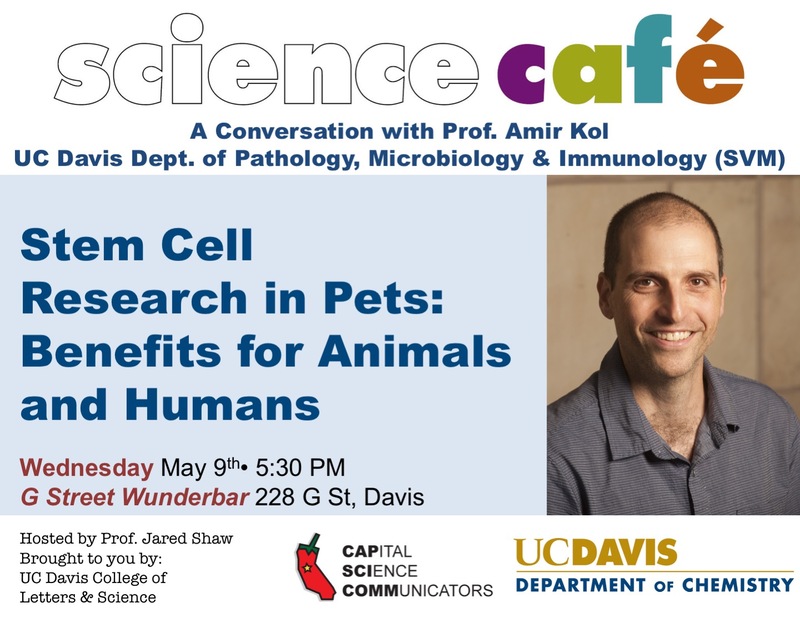 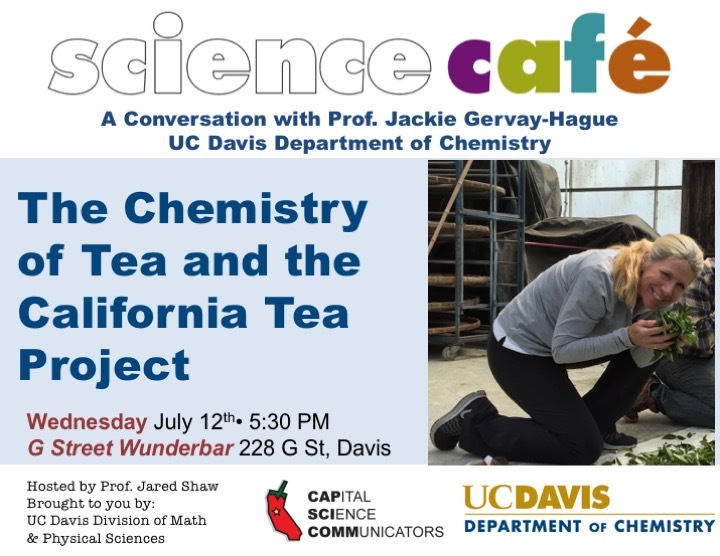 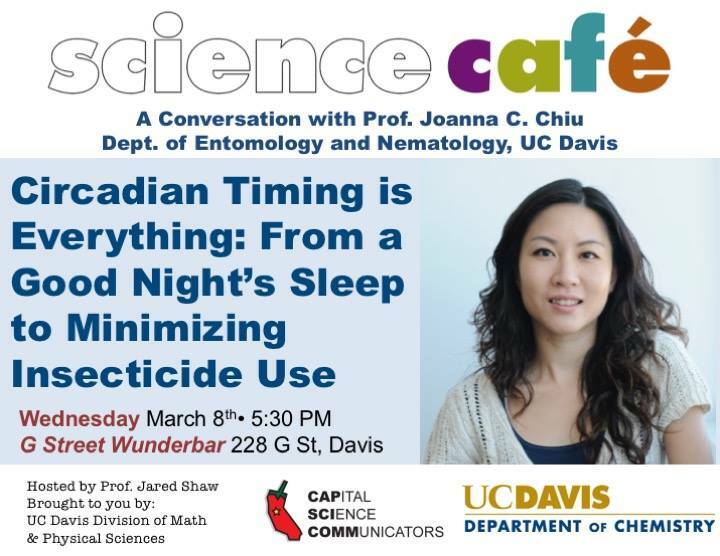 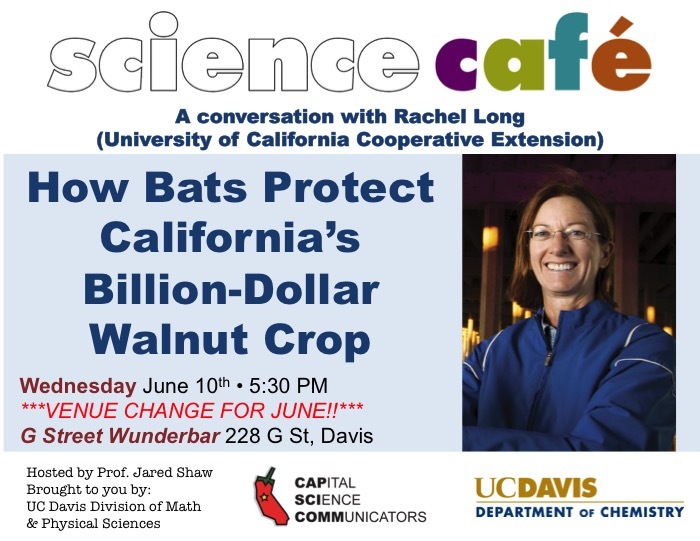 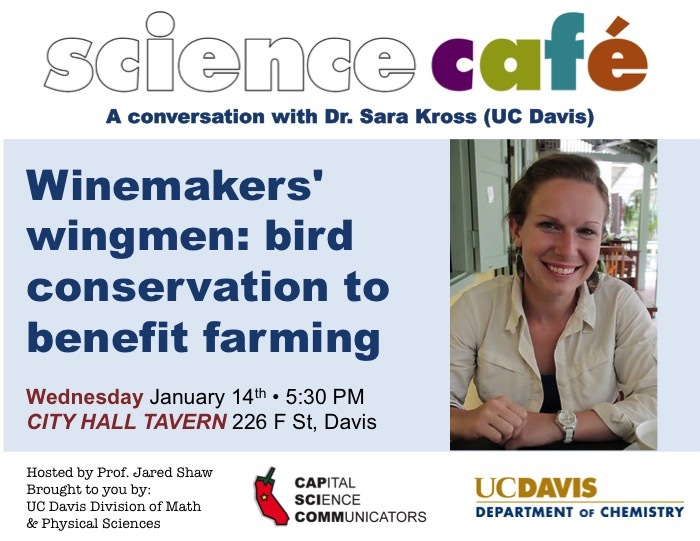 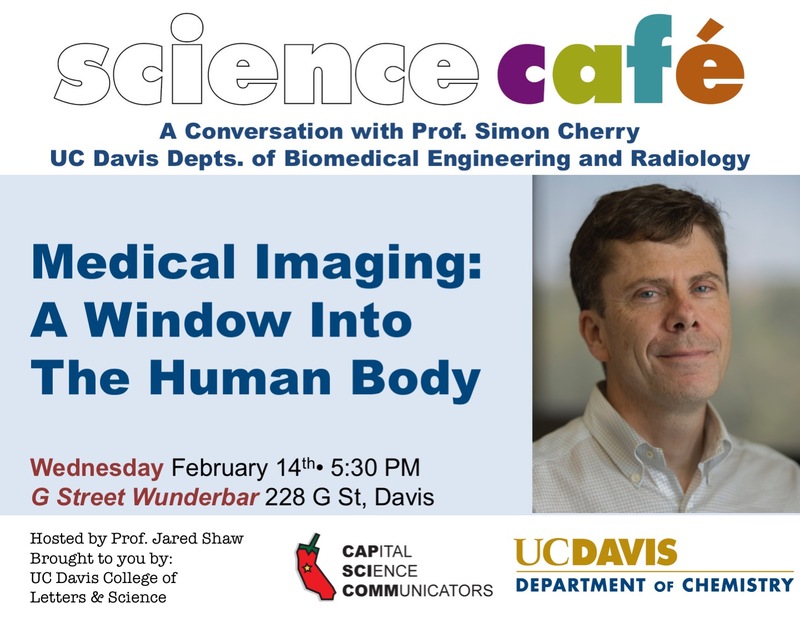 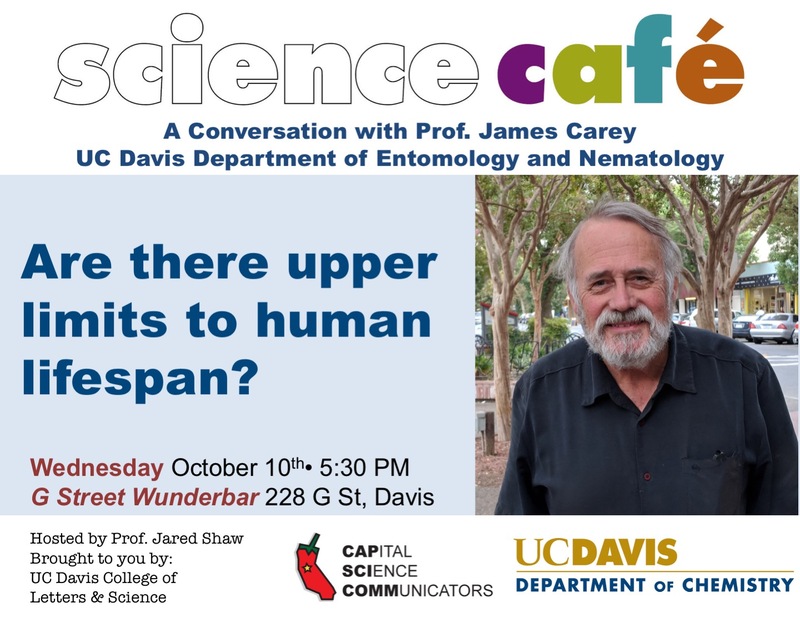 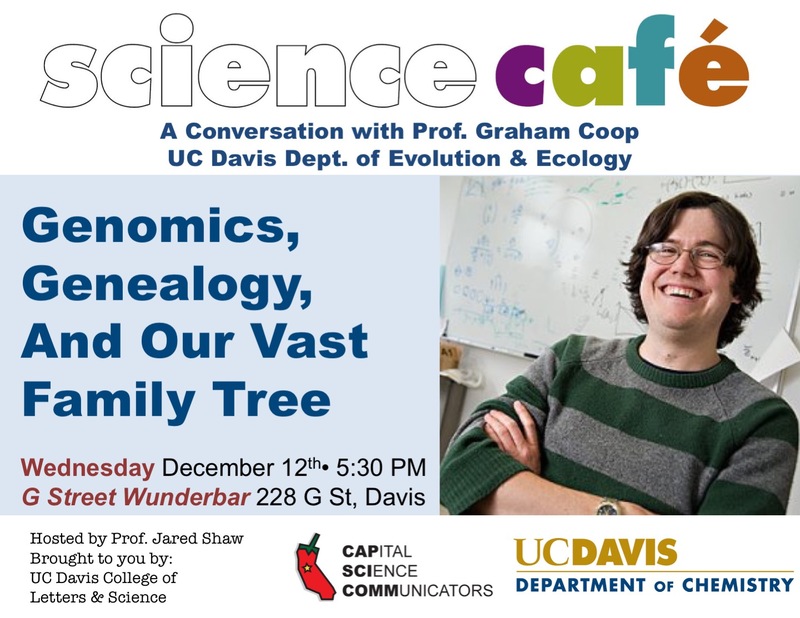 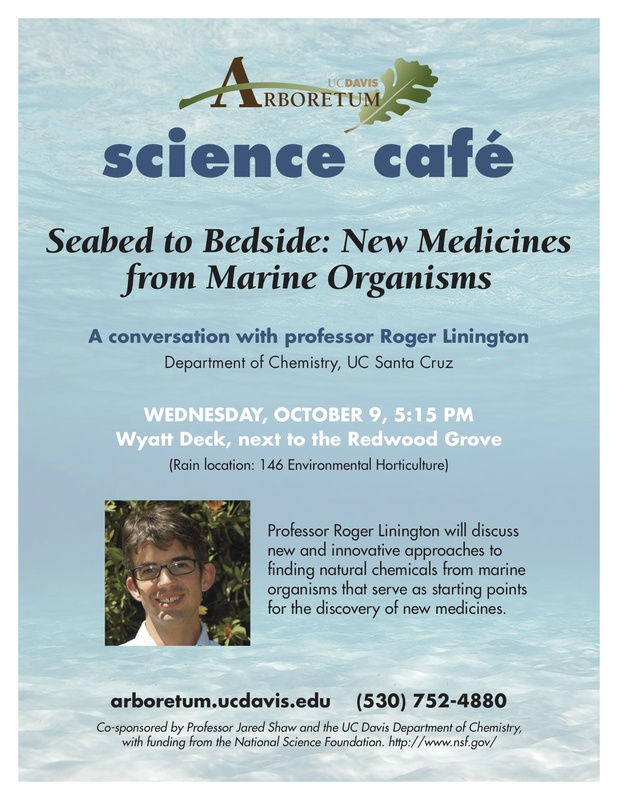 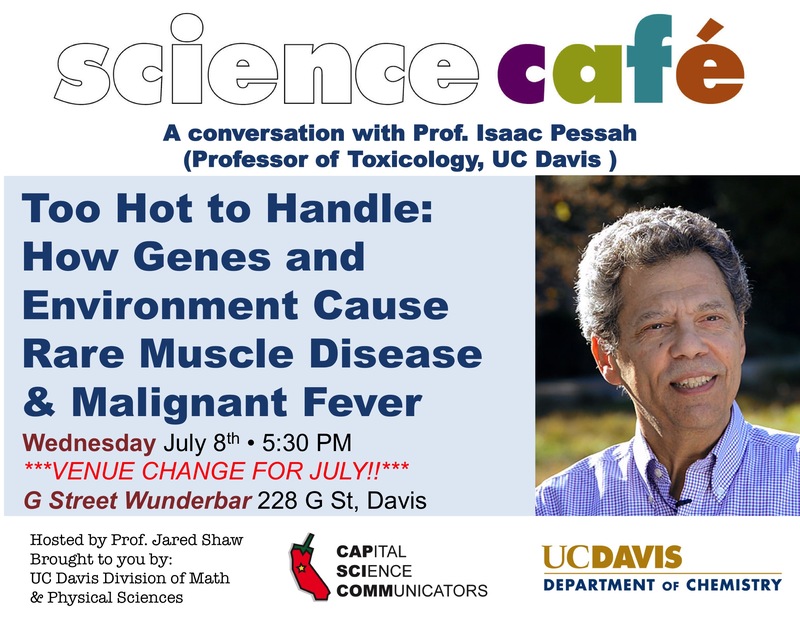 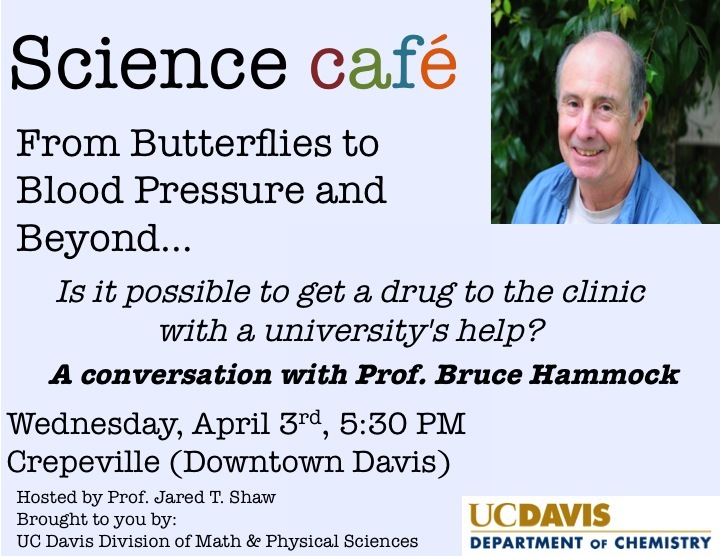 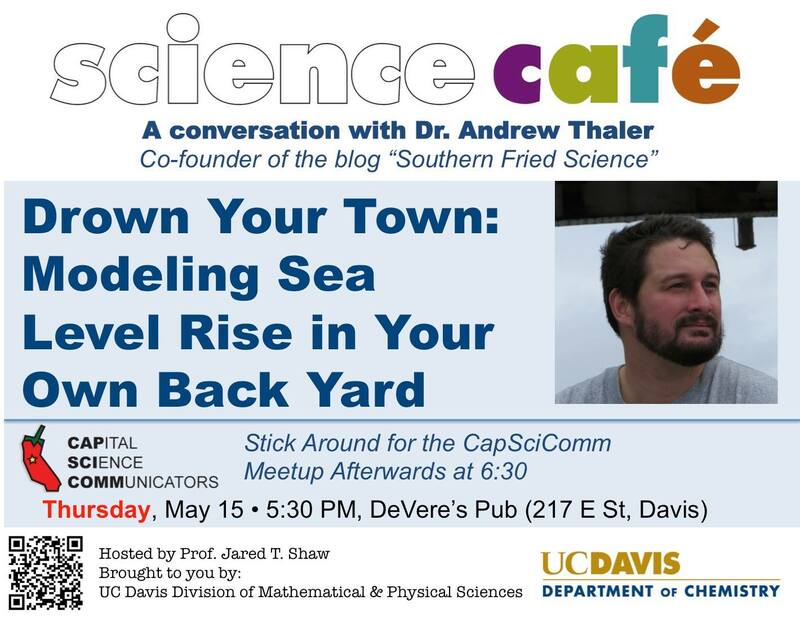 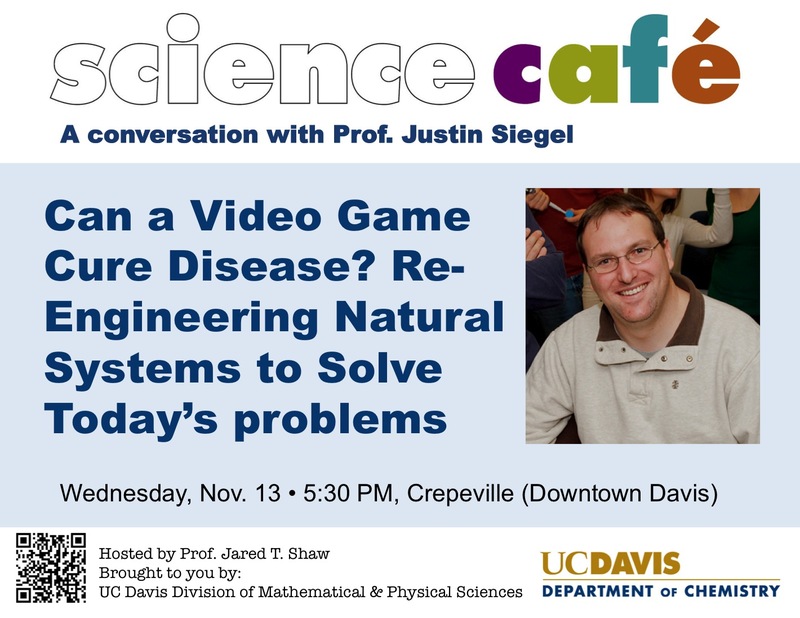 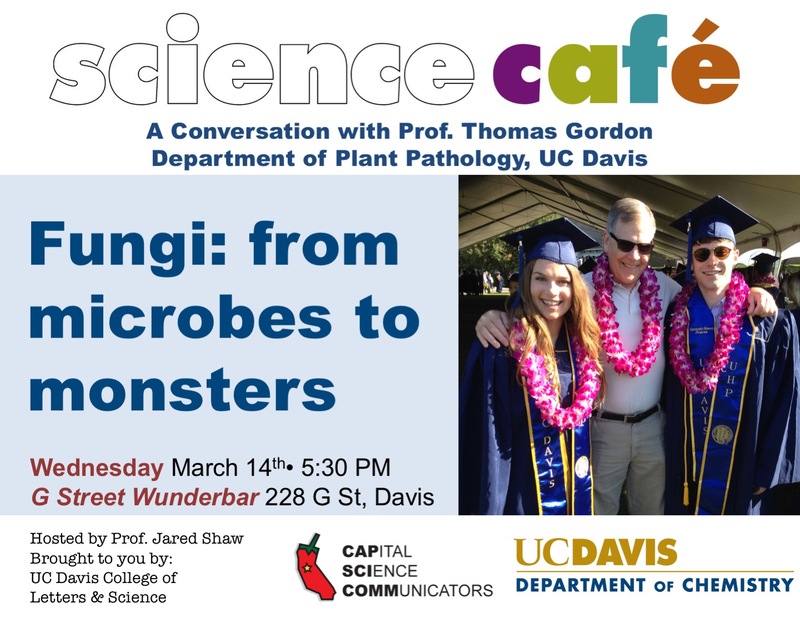 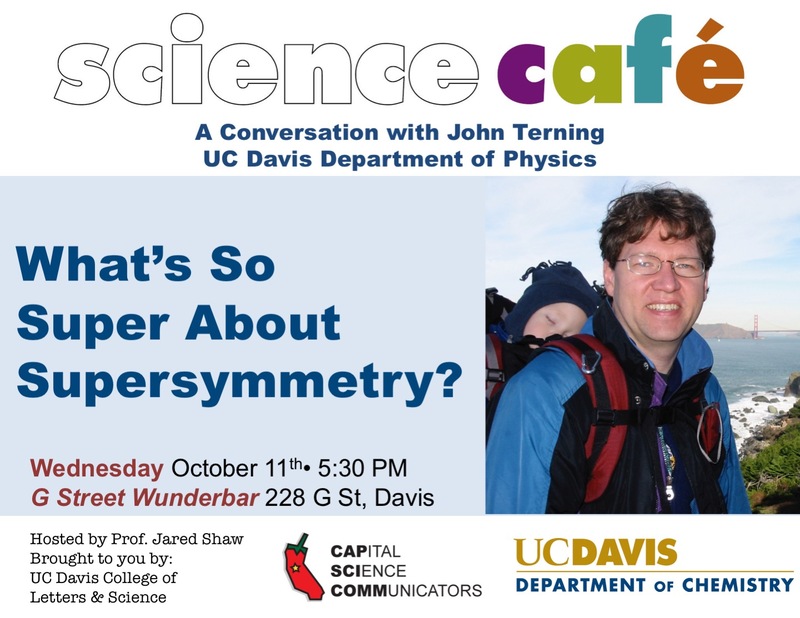 The Davis Science Café series was founded in 2012 by Professor Jared Shaw with the UC Davis Department of Chemistry, initially supported by the National Science Foundation and currently supported by the UC Davis Department of Chemistry and UC Davis Division of Math & Physical Sciences, and promoted by CapSciComm.Over the years, the #DavisSciCafe has been held at the Arboretum, Crepeville, de Vere’s, and most recently has settled in at G. St. Wunderbar. 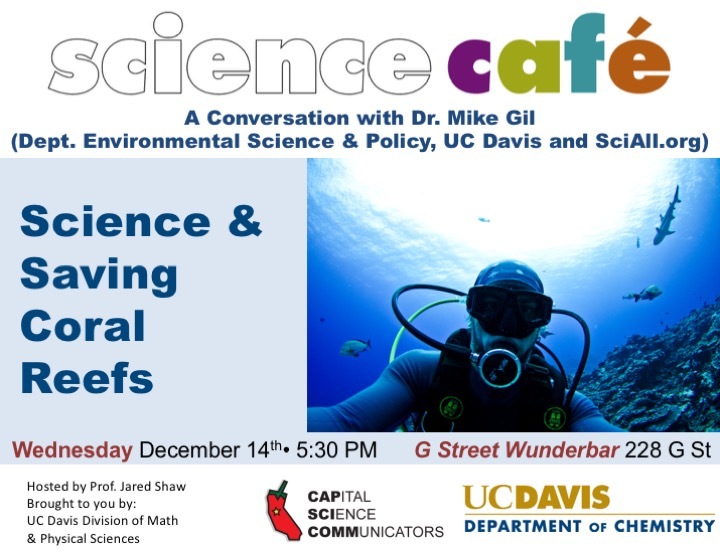 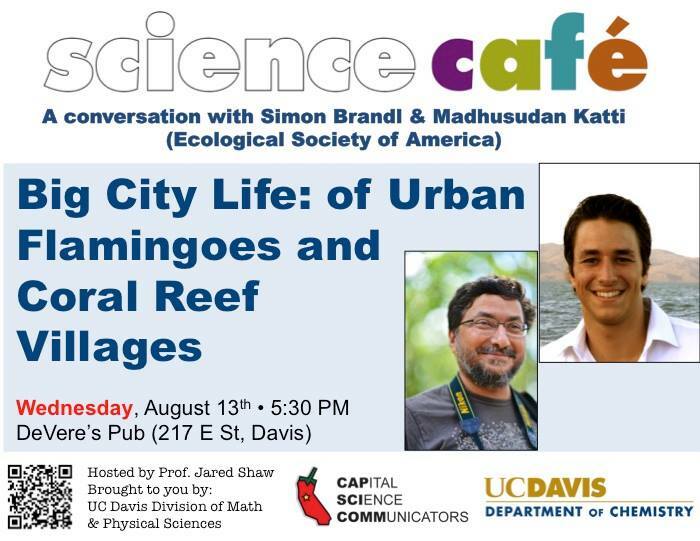 Café topics have spanned the likes of milk science, wine science, sea level rise, hyperdimensional geometry, and coral reef ecology. 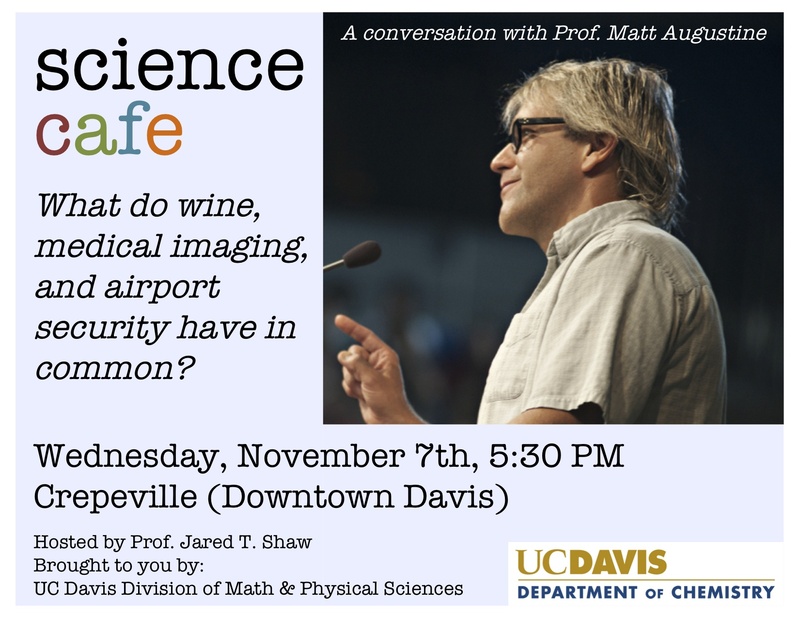 So come on by, and let’s drink to science! 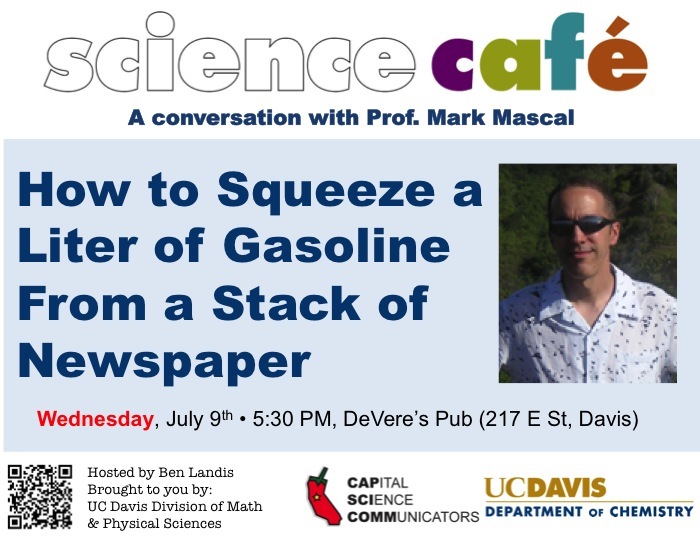 Hosted on the second Wednesday of each month. 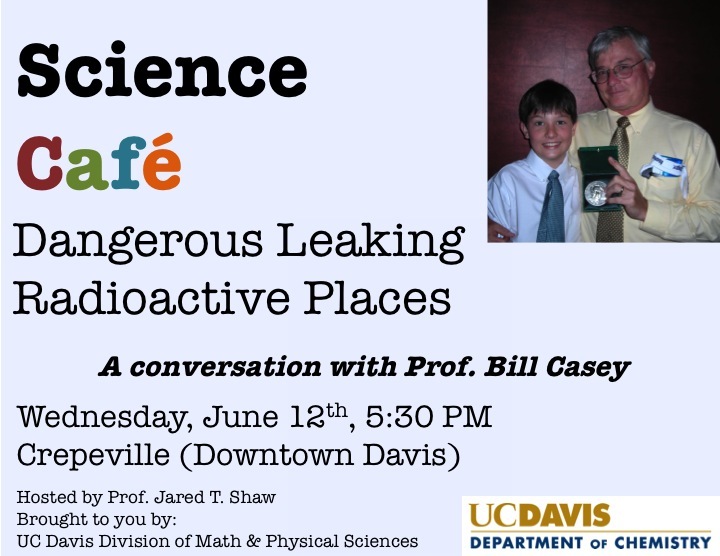 Free to the public.